If you’re headed to Paris and have the budget to splurge, three Asia-based luxury hoteliers are offering some of the chicest accommodations the city has seen in quite a while – and shaking up the upscale hotel scene long dominated by icons such as Hotel de Crillon, Le Meurice, and The Ritz. Hong Kong-based Shangri-La and Singapore-based Raffles each opened their new Paris hotels in late 2010, and Hong Kong-based Mandarin Oriental plans to open its Paris property this summer. Hong Kong-based Peninsula will join the Paris party in early 2013. 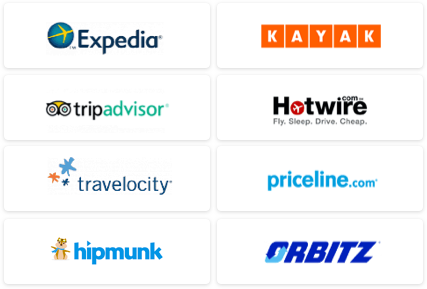 Although all are five-star hotels – with the superb service and lofty room rates that entails – each is refreshingly unique. I just returned from Paris and stayed both at Le Royal Monceau–Raffles Paris and Shangri-La Hotel, Paris (that’s the view from one of the top suites at left), and I have the advance scoop on the Mandarin Oriental Paris as well. Shangri-La Hotel, Paris (www.shangri-la.com): The first European property for Shangri-La is a stunning blend of elegant French architecture and enticing Asian accents. You know you are in Paris (in the 16th arrondissement at 10 Avenue d’Iena near the Trocadero), but the Ming Dynasty vases that flank the main entrance and the elaborate pot of jasmine tea that welcomes you to your room or suite lets you know there’s a strong undercurrent of Asian hospitality. The building’s pedigree couldn’t be more French – it’s the circa-1896 palace of Prince Roland Bonaparte, the grandnephew of Napoleon – and imperial insignias abound. 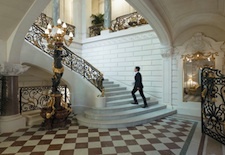 Most of the elaborate details have been gloriously restored, such as the white marble Grand Staircase (shown at right) and the chandeliered Louis XIV-style Grand Salon (where Parisian society gathered in the late 19th century), while the upper floors have been carved into 54 generous rooms (averaging 506 square feet) and 27 impressive suites. Given the palace’s location, 40 percent of the rooms and 60 percent of the suites have Eiffel Tower views that are nothing short of amazing. 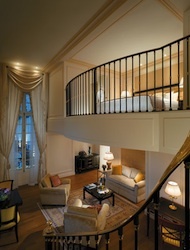 Décor – by French interior designer Pierre-Yves Rochon – mixes classic Empire style with a hint of modern minimalism. The palette in most rooms and suites is blue, white, ecru, and gold and features silk-threaded wallpaper, tufted headboards, and subtle carpet patterns. Marble bathrooms feature deep soaking tubs, dual sinks, and a rain shower. Especially distinct are the nine Duplex Suites (shown at left), two-floor accommodations with soaring ceilings and windows, four of which have those stellar Eiffel views. The three Signature Suites – La Suite Chaillot, La Suite Shangri-La, and La Suite Imperiale (Roland Bonaparte’s former apartment) – range from 1,175 to 2,900 square feet and feature modern décor and spacious outdoor terraces. The hotel’s restaurants are La Bauhinia, named for the orchid-like flower that graces Hong Kong’s flag and set beneath a magnificent 1930s, Eiffel-inspired glass cupola, and the gourmet L’Abeille (“The Bee”), referring to the imperial insignia of the Bonaparte family, set overlooking the gardens. La Bauhinia serves a mix of French and Asian dishes, while in the just-opened L’Abeille, Chef Philippe Labbé creates contemporary variations of French classics. Also soon to open are Shang Palace, the first upscale Cantonese eatery of its type in Paris, and a Spa with a 50-foot pool, located on the lower level (formerly the imperial stables). Shangri-La hit all the right marks with this truly exceptional hotel. My only complaints were that the ambience tended to be a tad too formal and a request for turndown service while I enjoyed a nightcap in the bar around 9pm was not fulfilled. And even if you don’t balk at the nightly rate, a charge of 25 euro (about $33) for a mojito or a glass of wine seems, well, exceptionally pricey. Rooms start at $850/night. Le Royal Monceau—Raffles Paris (www.raffles.com/paris): This palace may date to 1928 and the hotel may have a steeped-in-history pedigree, but after being gutted and re-imagined by the guru of French avant-garde design, Philippe Starck, this 149-room hotel, located at 37 Avenue Hoche in the 8th arrondissement, looks almost nothing like its former self. And that’s a good thing. First off, there’s not a hint of anything Asian about its ambience. 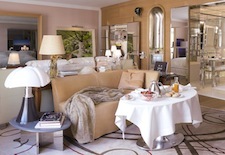 Le Royal Monceau remains as French as ever – with subtle nods to the past tucked amid vivid expressions of the present. Starck has merged artistry (there’s an art concierge to guide guests through revolving exhibits) and whimsy to create a look that’s as haphazard as it is harmonious. Starck is known for his use of bold stripes, oversize doorways, eclectic artwork, mismatched light fixtures, and verging-on-funhouse mirrors. All are utilized in abundance here. The result is a hotel with surprisingly serene room décor (as shown above at right) – walls are painted either a soothing rose-pink hue meant to mimic skin tone or subtle gray – and public spaces are filled with design details that never let the eyes get lazy. Especially appealing are the social hubs, Le Grand Salon and Le Bar Long, the latter a large space divided by curtains into a series of nooks holding small sofas and tables. 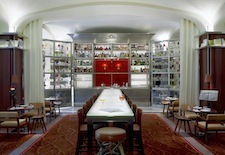 Starck retained a key feature of the bar, which gives it its name: a long, communal table (shown at left) where guests and locals can mingle and converse, just as artists and intellectuals did from the '30s onward. There’s a tasty snack menu, and cocktail prices are not nearly as steep as at the Shangri-La. Le Royal Monceau’s two restaurants are the grand-scale La Cuisine, where Chef Laurent Andre creates approachable modern interpretations of French fare, and the intimate Il Carpaccio, where with an assist from Chef Roberto Rispoli, Andre delivers fine Italian cuisine. Desserts at both restaurants, designed by the so-called “Picasso of pastry,” Pierre Herme, are to-die-for (more about that next week). As with the Shangri-La, a spa, this one by Clarins, is also in the works and is scheduled to open sometime in May. Rooms start at $875/night. Mandarin Oriental Paris (www.mandarinoriental.com/paris): Offering yet another wow-factor aesthetic, this 138-room property, opening this summer (exact date yet to be determined) and located in an Art Deco building on rue Saint-Honoré in the fashionable 1st arrondissement, not far from the Louvre, will feature sleek contemporary décor in taupe mixed with vibrant shades of orange, fuchsia, and plum. Dark wood, pale lacquer, and brilliant chrome are a few of the decor elements, combined with sophisticated in-room technology, as imagined by interior designer Sybille de Margerie. The 99 spacious rooms will feature Art Deco details and Oriental touches, as well as abstract uses of the surrealist Man Ray photograph “The Kiss.” Bathrooms feature glass, wood, white marble, and mosaic. The 39 suites are reminiscent of private apartments, done in tones of ecru and lime green with purple-toned wood combined with leather, lacquer, and silk. Baths are white marble and mother of pearl, and a silkscreen treatment of Man Ray’s photograph “Masks” is featured. A highlight will be a vast inner courtyard, with outdoor dining, and a pair of restaurants by two-star Michelin chef Thierry Marx: Sur Mesure par Thierry Marx, for stylized and provocative cuisine, and Camelia, for French regional with a twist. There’s also an Asian counter for Eastern-influenced favorites, and Bar 8 for cocktails and small plates. The Spa at Mandarin Oriental will feature seven private treatment rooms with steam showers and vitality tubs, as well as a swimming pool and hammam. Room rates not yet available. 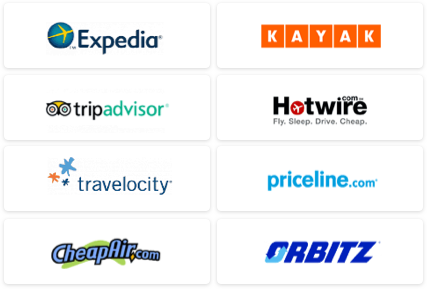 See our Paris Travel Guide for more trip-planning information, then use our Travel Search price comparison tool to find the lowest rates on flights, hotels, packages and more travel deals.